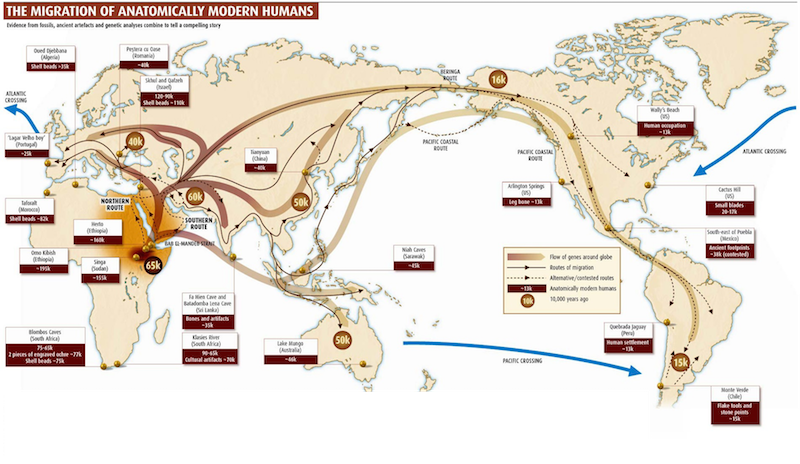 American Discovery was a multi-ethnic achievement. The first explorers came from Siberia during the Pleistocene Ice Age. They were followed by countless voyagers from Asia, Africa, and Europe. Among their ranks were Indo-Sumerians, Phoenicians, Celts, Britons, Danes, Norwegians, West Africans, Egyptians, Polynesians, Chinese, Japanese, Koreans, Romans, Greeks, Arabs, Hindus, and many others. Eventually, the New World became a meeting ground of races and a congress of ethnic diversity–the first United Nations. It was America’s destiny to become the meeting ground of all the world’s races and cultures. Whether they traveled by raft, kayak, canoe or ship, curious explorers ventured into the unknown seeking new lands–and they eventually made their way to a New World. Merchants and wanderers, pioneers and refugees joined them. They found a boundless wilderness; they made it a paradise of farms and orchards. Furthermore, DNA analysis helps to analyze the prominent cultures of the Native Americans also reveal where they came from and what were the most prominent traditions that influenced them the most. Vining Edward in his book, An Inglorious Columbus, proves that the Chinese traveler Huei Sen had already discovered America in 499 of our era, that is to say, a thousand years before Columbus. There were various ways that people used to reach the Americas at different times in history.Ocean’s are filled with specific currents that can take immigrants from India and over to the eastern coast of Africa, then down around Africa’s southern tip and the north across the Atlantic over to North America, where immigrants could have settled on the eastern coast. They also could have sailed on up to the St. Lawrence Seaway, and settling in the Great Lakes region. People from the Mediterranean could also catch the ocean currents across the Atlantic to North America. Or people from far eastern Asia or Japan could ride the currents across the North Pacific through the Aleutian islands to Alaska or further south. Or people could cross the Southern Pacific from Southeast Asia, including India, and then hopping across the Indonesian islands and then using the currents to reach South or Central America. Dr. John Haywood’s in his book on the Natural and Aboriginal History of Tennessee, reports on the findings that seem to connect ancient America with the Vedic culture of India. In White County, Tennessee, there are what he calls ‘face jugs,’ or ancient jugs with painted faces on them, that “display a striking resemblance of the Asiatic countenance. 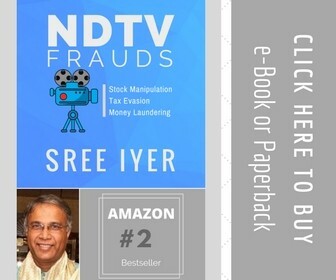 There were lines on the cheeks and forehead that bear a striking similarity to caste marks used by the Hindu religion to mark social standing and religious status or affiliation. There was often three horizontal lines across the forehead [as worshippers of Shiva use]or perpendicular lines from the root of the nose to the top of the forehead [as done by worshippers of Lord Vishnu]. Therefore, the jugs were likely intended for sacred uses. The speculation was that the three heads on such vessels, painted with the different marks, might designate the various orders of men for which libations were made. If so, the evidence is most directly connected to the identity of religion professed by the Hindus and the aborigines of Tennessee. No fabulous circumstance or train of thought could have occasioned such striking similarity in the paints and modes of applying them, in order to distinguish the different orders of men in their respective nations. If however the flagon is not a vessel of libation, the fact of its having three heads and possessing Asiatic features is certainly strong evidence of Asiatic origination. Brahma, one of the three principal gods of the Hindus, was represented with a triple head. We might want to explain further that Brahma was depicted with four heads, each one facing in one of the four directions, but some paintings often show only three heads [the fourth being the head at the back]. 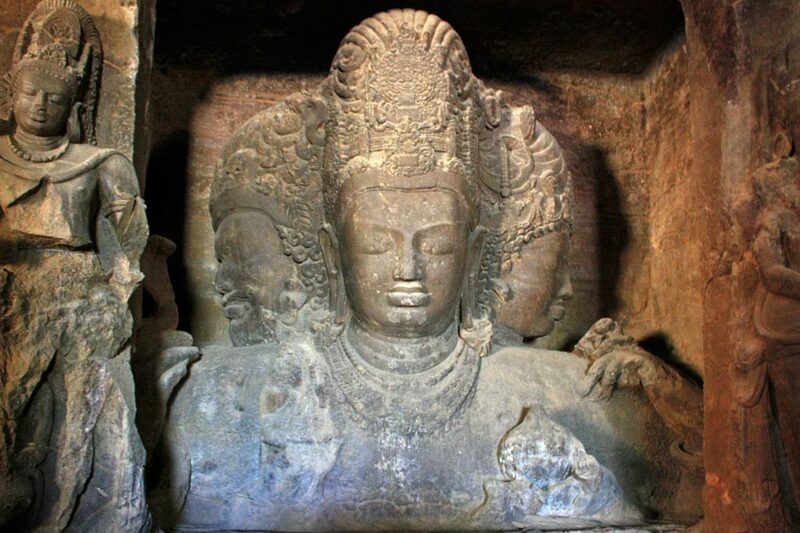 The main image in the Elephanta caves in Mumbai, and other images with three heads, often represent the Vedic Trimurti of Brahma, Vishnu, and Shiva, each one having their own forehead marks, or forms of tilaka. This may have been the real depiction on the jug in question. There was also evidence that indicated that the ancient Indians of Carolina knew that the world was round, which was common knowledge in the Vedic tradition. A medallion found in association with the mound builders of North Carolina had an image of a three-headed goddess holding a round globe of the world in one of her hands. In the same temple of Elephanta before mentioned is another triple-formed divinity, with three faces, and three arms; in one hand holding a globe; a proof that the ancients of India, as well as the Indians of Carolina, knew that the world was round. On a medal of Syracuse, is a figure with three heads, extremely like the symbols adopted by the Hindus, and resembling much the Indian figures… The resemblance of the heads, to the deities of India, leaves no doubt of the origin of the emblem. It is seated on a tower. The heads hold various symbolic articles, among which the ring is clearly distinguishable. A proper examination of these monuments would disclose the fact that, in their interior structure, as well as their exterior form, and obvious purposes, these buildings [the temples in Palenque, Mexico]correspond with great exactness to those of Hindusthan and the Indian Archipelago. For most of the twentieth century, it has been accepted that the date of the Apache and Navaho trek southward from Alaska took place about 1200 CE, and their arrival was about 1500 CE. 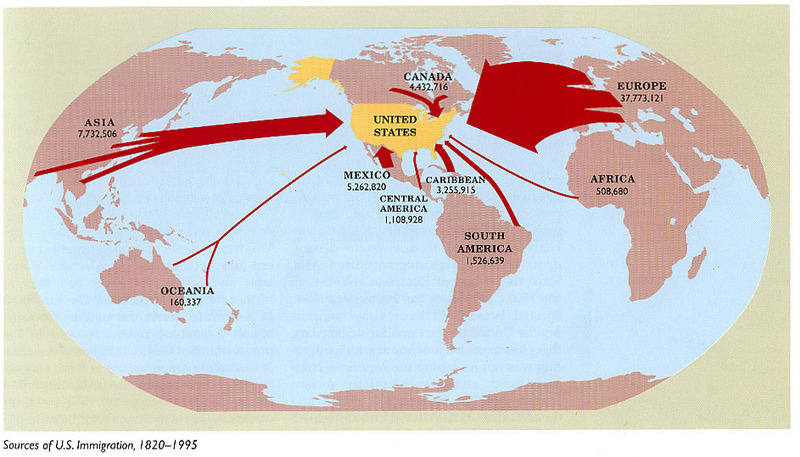 This is certainly a later wave of migration into North America. How this began goes back to the time of the Dene and Na-Denes. These were tribes of people from the north of Tibet and west of the Gobi Desert, primarily in the Tarim Valley. Their great enemy was the Mongol Genghis Khan (1162-1227 CE) who was invading all parts of the region. So to escape a certain death, the Dene tribes fled from Central Asia by the way of routes well known to the sea-otter hunters and traders of Northeast Asia. In fact, the Dene and Na-Dene traditions speak of how their ancestors landed on the southern coast of Alaska, near 1233 CE. Even today, Chinese artifacts off the coast of California are incontrovertible evidence that the Chinese ships reached America long before Columbus. the Dene reached America in Chinese ships that had features unknown in Europe until many centuries later–watertight compartments, the balanced rudder, the mariner’s compass, and other navigational aids too numerous to mention here. According to Dene tradition, and that of the Na-Dene, they followed Kuro-Siva [a route that goes north and then heads east on the eastern side of Japan], and from time to time, put into sandy and rocky islands to rest. The savage techniques of Genghis Khan are vividly described. Mongol strategy followed a regular pattern once the war machine of North China became available to them. First, they rounded up the population of the countryside surrounding the besieged city, driving them before them to protect themselves. Then they used the bodies of the slain as ramps as they breached the walls with their mangonels. The surviving prisoners have driven up the ramps before them for protection as they entered the city. Once it was in their hands, the Mongols drove the inhabitants outside the walls, raped all the women amid indescribable scenes of brutal savagery, and then slaughtered all the prisoners–man, woman, and child. The city was then looted and burned to the ground, and a thousand years of recorded history went up in flames. At the fall of Chung-tu, such was the terror that sixty thousand girls threw themselves from the walls rather than fall into Mongol hands. An Arab embassy described the ground as covered with bones and greasy with human fat, and the air so polluted that some of the embassies fell ill. Very few historians mention these scenes when describing the military success of Genghis Khan. The actual horrors of his conquest of North China, Khwarezm, and HsiHsia–the terror, suffering, the devastation, the terrible slaughter is left aside. This is what drove the Dene tribes northeastward and then over the waters to find and settle in America. For nine and one-half years, the Naiman Khan and his followers lived at the Hsi-Hsia capital in relative security. In 1225 A.D., at the beginning of the campaign that destroyed the kingdom of Hsi-Hsia, the king further enraged Genghis Khan by giving asylum to the two sons of the Naiman Khan. If they survived the ensuing slaughter, they ended up in America with their father. Before the Hsi-Hsia surrender and the Mongol occupation of their capital in 1227 A. D., the King, according to the Kutchin Migration tradition (which the Mckenzie River Kutchin [in Western Canada]call Le Navigateur, and the Peel River Kutchin call Ata-choh Kai-yo) arranged for the escape of his Naiman friends and other fugitives and remnants of Hsi-Hsia tribes in his army. They traveled by riverboat and by land to their rebel Khitan relatives, and from Liao-tung to the mouth of a great river and along a chain of islands to a new home ‘on the other side of the earth. Some 600 years after their migration to the continent now called America, the Kutchin do not remember the actual name or origins of their leader, who had to lead the migrations of the Dene tribes out of Asia. However, they remember him by a number of names for Tchulak-san-qun, that relate to him being from Central Asia, and affirm his relation to the Lunar Race. The Dene utilized magic ceremonies, one in honor of the Vedic Lord Vishnu, and also supplications to Lord Ganesh. Their sacred fire ceremony was an homage to the Vedic god Agni. Their god of the dead was Yama, and the abode of the dead was a combination of Yama’s dwelling and the Chinese Yellow Springs. They also retained the ancient Yuch-che idea that after death they would return to the Moon, the higher realm to which they belonged. They also believed in reincarnation in both human and animal form. However, after many years of traveling in America, they began to forget the more sophisticated levels of thought present in Central Asia at the time of the Mongol invasions. 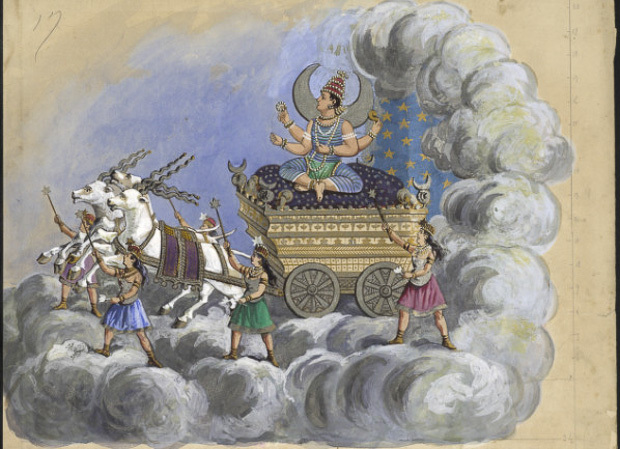 The significance of the Dene’s connection with the Vedic tradition is that they claimed descent from the Moon God. They considered themselves part of the lunar lineage. This is why they also considered that they would return to the Moon after death. This goes back to the time of the Mahabharat wherein Yayati, said to be fifth in descent from Soma, the Moon, who had two sons, Yadu and Puru. They became the progenitors of the Lunar Dynasty. They became the progenitors of the Yadavas and the Pauravas. The Yueh-ti tribe was part of the former line, or the Moon family, as mentioned in Chinese records, and part of the latter evolved into the Ch’iang, who became the forebears of the later Hsi-Hsia kingdom, also part of the Moon lineage. In their tradition of the death of the last king of Hsi-Hsia, who was of the Toba branch of the Hsien-pi, and thought to be a reincarnated Buddha, the Dene tell of his journey to the town of Yama, the home of the dead. The king was not of the Lunar Race, so there was no place for him in the Moon world of the dead, so he had to go to Yama’s abode. To the Loucheux and the Hare tribes in Alaska, and to the Denes, the muskox was a sacred animal. 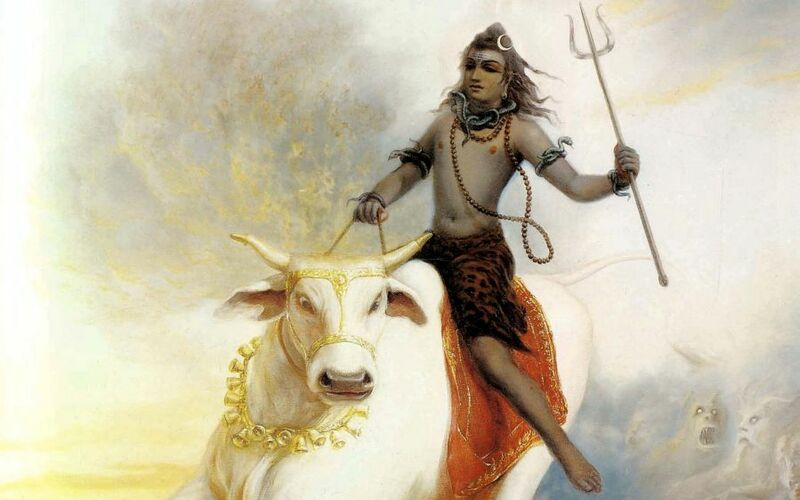 The reverence for this animal is in connection with the god Shiva and his bull carrier, Nandi. Shiva, in his benevolent characteristic, is the father of the world, but in his destructive aspect he was the destroyer, a god to be feared. In Northwest America, the only bovine animal there was the muskox. And the Dene attributed the powers of Lord Shiva and his bull to the muskox. The Divine Triad of the Dene seems to have consisted of Shiva as the father of mankind, his wife, Uma, as the Divine Mother of the world, and their son Ganesh, as the bestower of all earthly blessings. There was also Vishnu as the preserver, and who also appeared as Buddha, and his successor Maitreya, the Buddha of the future who would rescue his people of their miseries. However, by the 19th century, the Dene tribes in America had no specific recollection of the elephant-headed god Ganesh, whose vehicle is the mouse who carries the large Ganesh on his back. Nonetheless, the Dene had come to perform rites to a Yellow Mouse with a pointed snout, capable of carrying men on his back, and designated by the Tibeto-Tarim words meaning elephant. In the traditions that are observed today, some of these tell of their ancestral origins in a land across the sea, and very far in the West, even on the other side of the earth, in a long distant past. As Ethel Stewart explains according to her research, many of the Indian or Native American tribes who connect themselves with the Dene, but whom anthropologists call Athapaskan, are said to comprise a large number of related tribes whose territory range from Alaska to the McKenzie Valley, to Northern Alberta, and then from the Yukon down to the Rocky Mountain trench to Southern British Columbia, and then appearing in Arizona and New Mexico. As many as seventeen other tribes appear near Vancouver, and then Washington State to Northern California. To the south of the Kutchin were a number of other tribes, including the Han, Kaska, Secanais, Sa-Arcix, Takkuli, etc. Then in Arizona and New Mexico are the Navadjo (Navaho), and Apache tribes, which include the Mescalero, Jicarillo, Lipan, and Tagui, all of which are said to have migrated from Central British Columbia from 1200 to 1500CE. In this way, we can see a means in which many of the tribes of the western part of North America came from across the sea from Central Asia, where they had been a part of the Vedic traditions. Then, after leaving that region, they went eastward and arrived in Alaska, traveling into western Canada, and also then trekking south through Oregon, California, and even down to the area of Arizona and New Mexico. This is why many of the tribal customs not only tell the story of their ancient traditions, but also still contain what can be recognized as remnants of the Vedic culture of which they were a part.